Red Herring Games team up with Social Ladder to create a unique Ambassador program. There were 651 press releases posted in the last 24 hours and 153,468 in the last 365 days. This Autumn Red Herring Games are approaching customer engagement in a totally different way - exactly what we'd expect from the quirky murder mystery firm! GRIMSBY, N.E. LINCS, UK, October 29, 2018 /EINPresswire.com/ -- This Autumn/Winter Red Herring Games are approaching customer engagement in a totally different way, rewarding their top customers with unique gifts, games and experiences as a way of saying thank you for sharing the word. 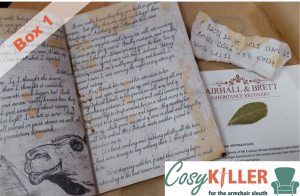 With three strands to the business, murder mystery games, events and the increasingly popular Cosykiller subscription – Ambassadors can gain rewards from all areas of the business and feed in at any point. 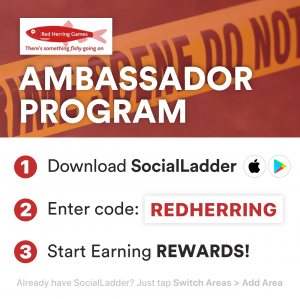 You can join Red Herring Games Brand Ambassador team by downloading Social Ladder ap from the ap-store and typing in code “REDHERRING”. 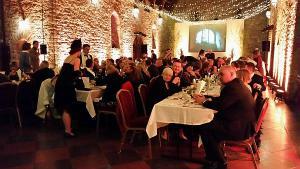 Run your own event without spending a penny! Red Herring Games Launch their latest Subscription Story!